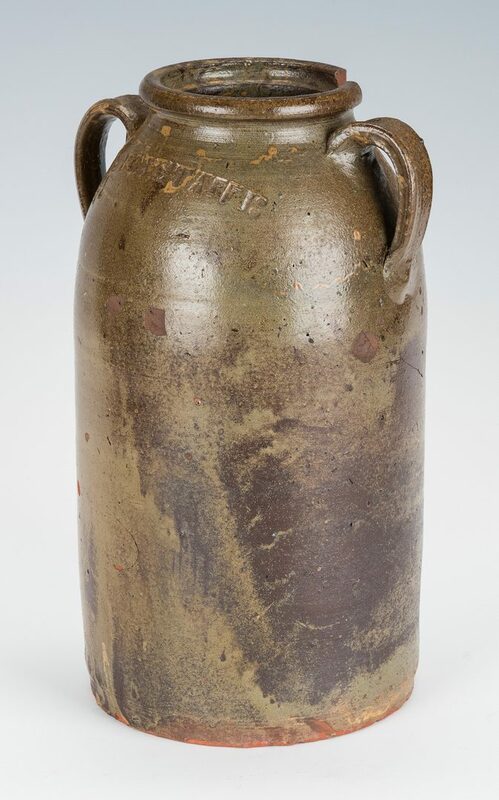 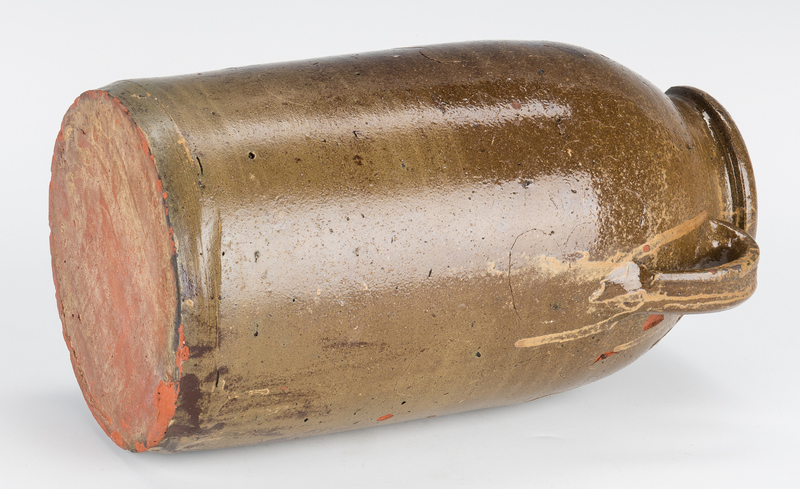 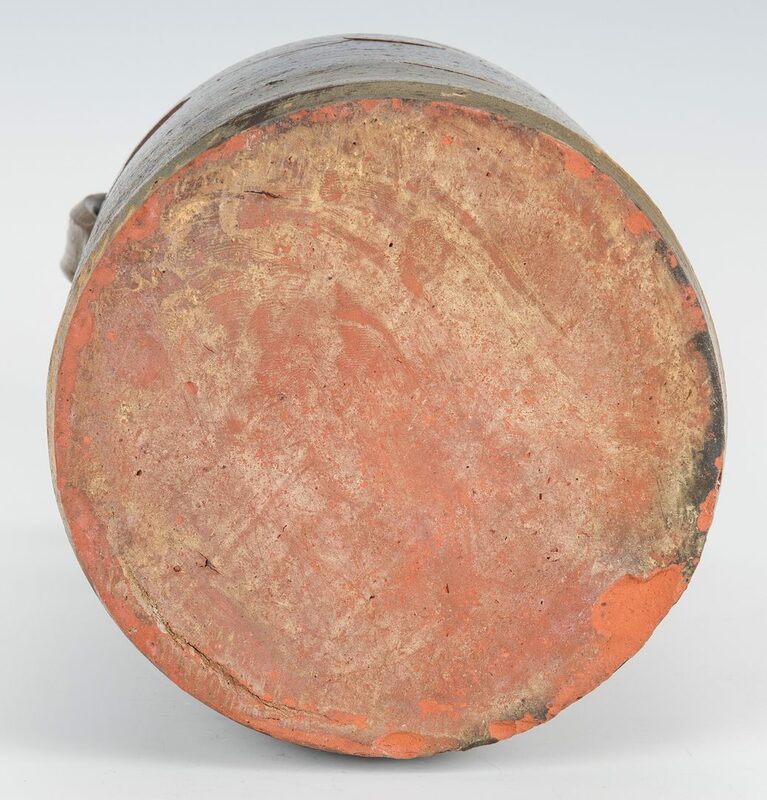 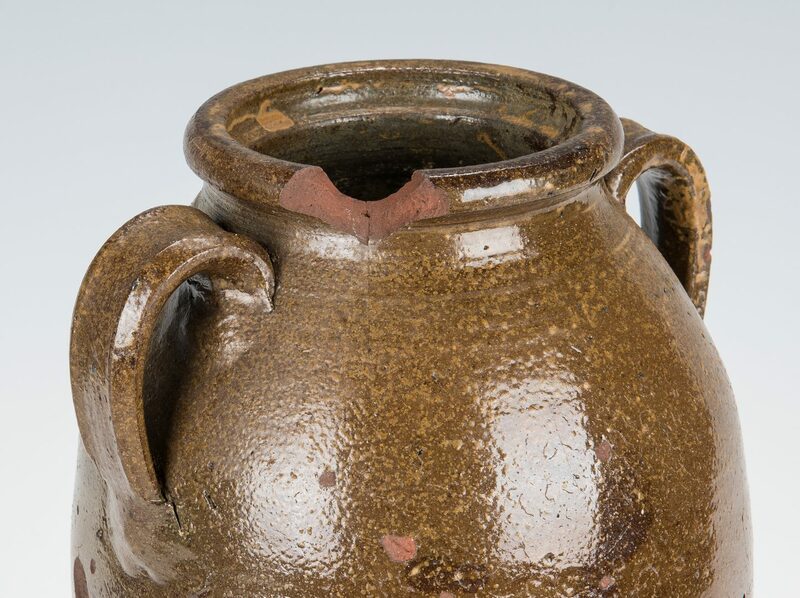 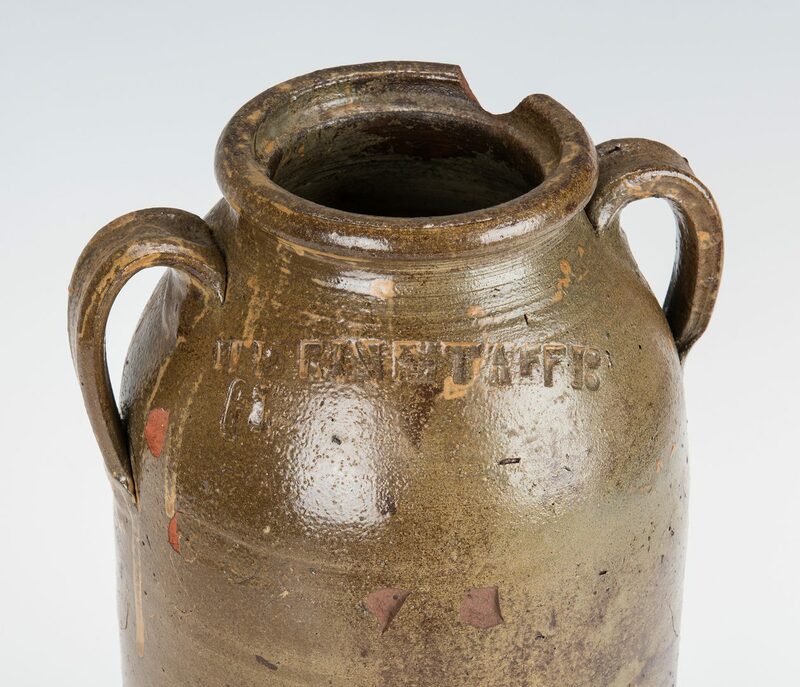 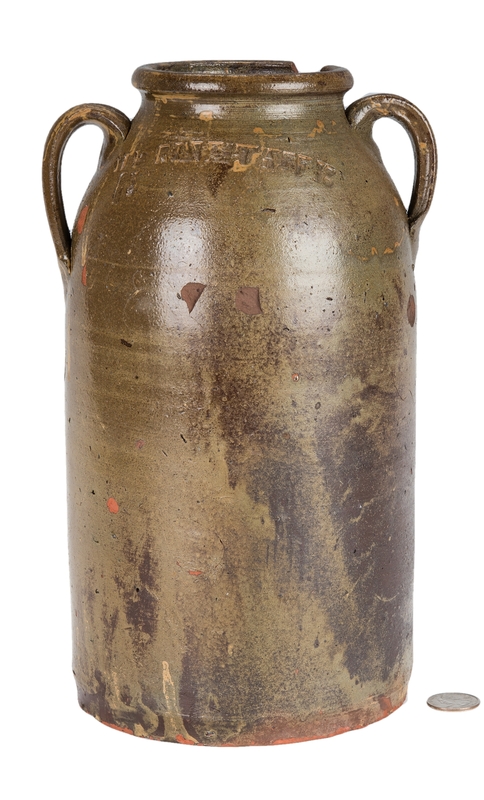 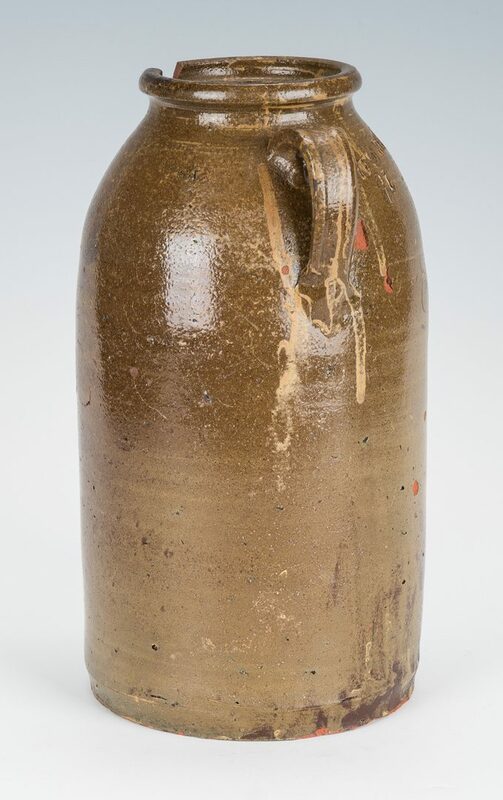 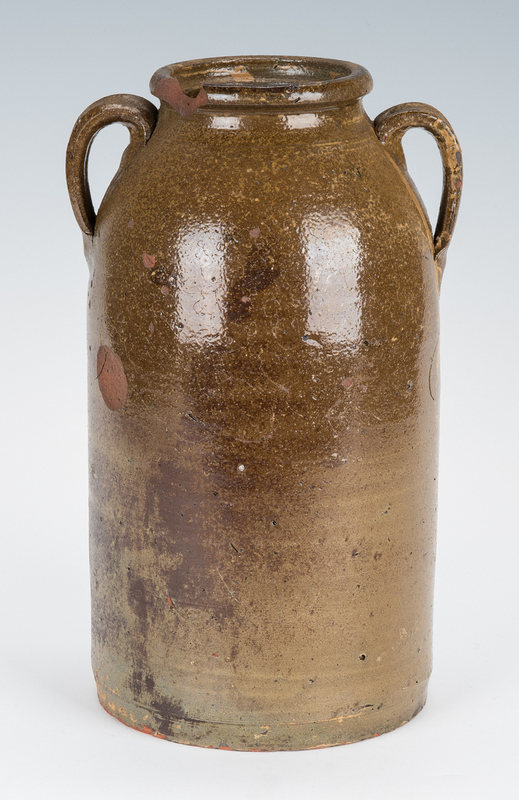 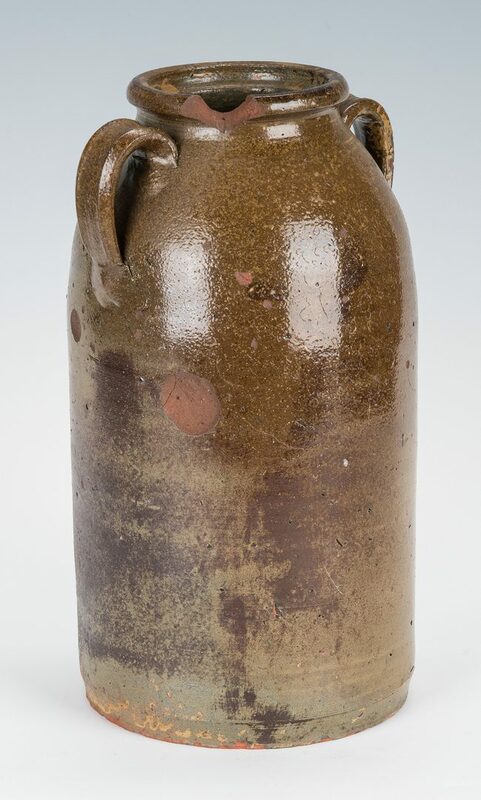 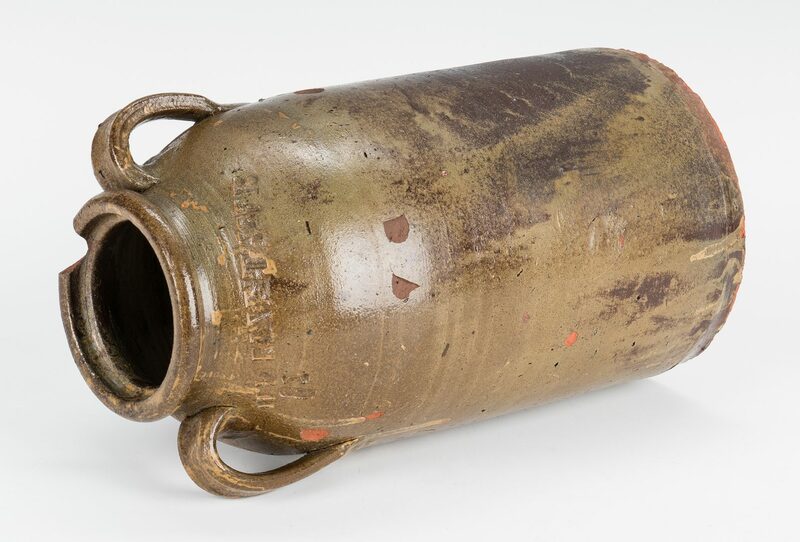 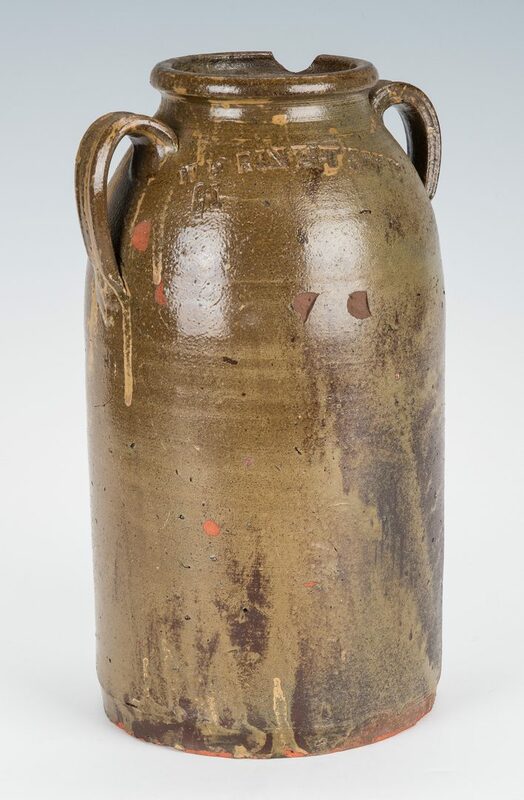 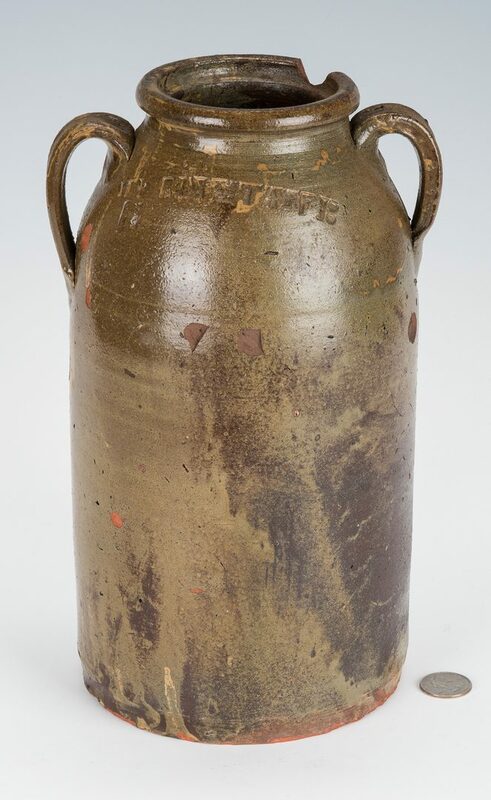 East Tennessee, possibly Knox County, salt glazed stoneware pottery double handled jar, one-gallon capacity mark. 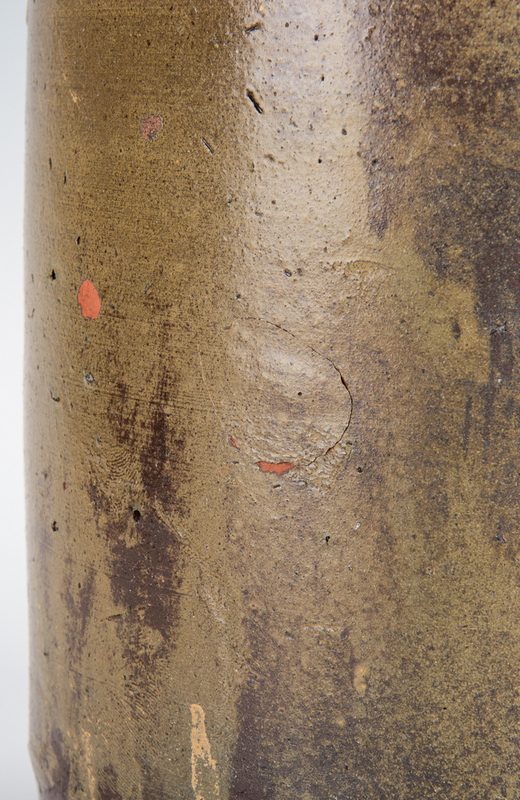 Impressed semi-circle stamp "W. Grinstaff" for William Grindstaff, with a "1" below the rim. 11 1/4" H. Late 19th century. 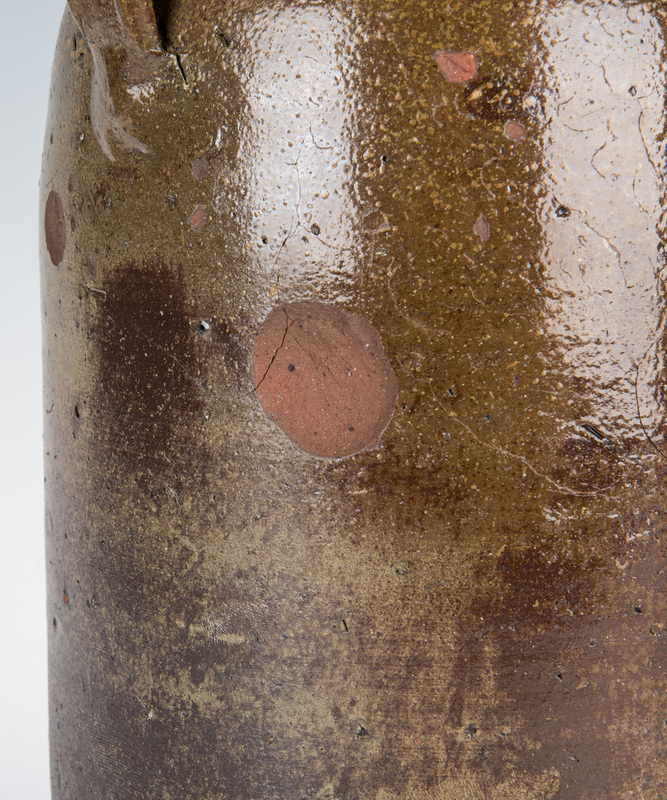 CONDITION: Large chip to rim and several deep pock marks/areas of loss to body of jar.